Work on display. Photo: Disclosure. Are about 700 pieces-including extensive documentation, objects of the time, illustrations, paintings, religious artifacts and contemporary works of art – artists anonymous and hailed as Mestre Valentim, Adriana Varejao, Guignard, Augusto Malta, Araújo, Pierre Verger, Carlos Julião, Rugendas and Debret, among others. 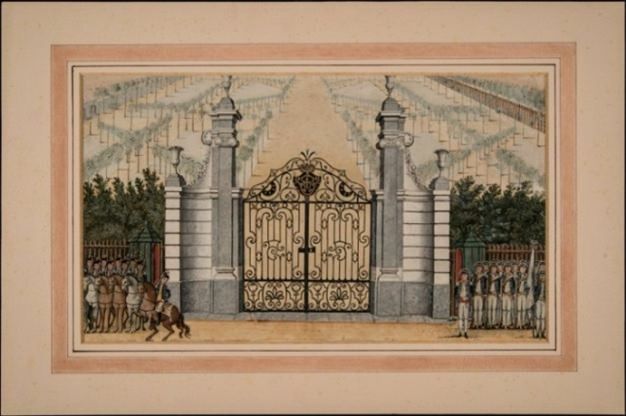 The show deals with civil and religious aspects of the time, leading visitors through a journey that begins soon after the discovery and follows until the arrival of the Portuguese royal family, in 1808, in a history marked by wars and dreams since his birth. For the first time, the features of broadly its collection of religious art and, with artifacts from several churches in the city and private collections items, the set highlights the artistic and cultural value of this asset. One of the great names of the period, Mestre Valentim – responsible for sculptures and religious carvings, as well as several civil monuments scattered across the River – will be represented through original works and reproductions. Visitors will also have access to large parts of the Baroque and the Rococo brasileiro. The two styles, known for their similarities, will have their differences presented a multiprojection prototypes created especially for the exhibition. The core will address the Afro-Brazilian religions and Jewish. The end of the century 17, with the discovery of gold in Minas Gerais, Goias and Mato Grosso, the city is now seen as an important point of ore flow. From then began the process of urbanization and river beautification, with reclamation, paving of streets, development of transport and the construction of parks and fountains. Multiply the population of the city and creates a new ethnic and cultural profile.. Portuguese of Goa and Macau introduce new local and cross colors inks with a new wave of settlers from various regions of the metropolis and with all kinds of "outsiders". Meanwhile, grows exponentially the slave trade, from all parts of Africa. Racial tensions still smoldering and the cyclical development of the city are brought to the current context through contemporary art works that bring out the debate. Already in the middle of the century 18, the ideas of enlightenment start coming to the Colony-brought by the elite youth sent to study in Portugal. Here Jesuit culture begins giving way to Neoclassicism and the river becomes a centre of political relevance, economical, cultural and social. One of the major influences in Brazil is the home of the attempts of independence and, therefore, the shows will have a part dedicated to Tiradentes. Judged in Rio de Janeiro, Joaquim da Silva Xavier was one of the leaders of the Inconfidência Mineira, emancipation movement which opened to other revolutions. Visitors can view, for the first time, the axe that sliced and Tiradentes-according to reports-, In addition to various objects and documents. The exhibition will occupy the entire third floor of the exhibition hall, space dedicated to the discussion of issues relating to the city of Rio de Janeiro. To mark the opening, on 7 July, às 11h, happens a little Gallery open to the public, with the participation of the curators of the show. 18th Century River, When the river turned capital is playing 8 May 2016. O MAR, an initiative of the City Government in partnership with the Roberto Marinho Foundation, have activities that involve collecting, registration, search, preservation and return of cultural property to the community. Proactive support space education and culture, the museum was born with a school - the School Look -, whose proposal is innovative museological: foster the development of an educational program of reference for actions in Brazil and abroad, combining art and education from the curatorial program that guides the institution. The museum has the Globe Group as maintainer, BG Brazil as sponsor and the copatrocínio of the Ita, Besides the support of the State Government of Rio de Janeiro and the realization of the Ministry of Culture and the Federal Government of Brazil, by Federal Law for Promotion of Culture. The management is left to the Odeon Institute, a private association, nonprofit, whose mission is to promote citizenship and the social and educational development through the realization of cultural projects. Entrance: R$ 8 The R $ 4 (half price) - People with up 21 years, private school students, university, disabled people and public servants of the city of Rio de Janeiro. Payment by cash or card (Visa or Mastercard). Policy free: Do not pay admission - on presentation of Proof Documentation - public school students (teaching elementary and middle), children up to five years or people from 60, public school teachers, employees of museums, groups in situations of social vulnerability educational visit, Neighbors of the sea and tourist guides. Tuesdays admission is free to the general public. On Sunday admission is free for holders of the passport of Museums in Rio that have not yet the stamp of the sea. On the last Sunday of the month the Museum has free entry into all through the project Sunday at sea.